TADRA is a graduated driver's license program for young drivers ages 15 to 18. It was established in Georgia by a collaborative effort of highway safety advocates, legislators, law enforcement officials, educators, businesses and media in the wake of a high number of fatal vehicle crashes involving young, inexperienced drivers. TADRA involves an intense, three-step educational process that allows the young driver to gain more experience behind the wheel. Click this link for more information. Realistically, an inexperienced driver WILL NOT master the adequate skills to pass the Georgia Road Skills test in the Limited 6 hour Behind the Wheel sessions. Due to the level of attention, required reflexes and skills, we want to set the proper expectation that additional behind the wheel hours will be necessary. Since each person is unique, we can not state a definitive number of extra hours required. Additional beyond 6 Hours Behind the Wheel is billed at $50.00 per hour. Georgia requires drivers under the age of 18 to have a signed and notarized 40 hour behind the wheel affidavit completed prior to issuance of Class D license (see Parent/Teen Driver Guide). For additional GENERAL requirements and age limitations please follow this link ADDITIONAL INFORMATION. As a cost savings, we encourage all students to come to our office to begin/end lessons. We are willing to pick up and drop off students for instruction as well as road tests for additional fees. Please contact office for details. 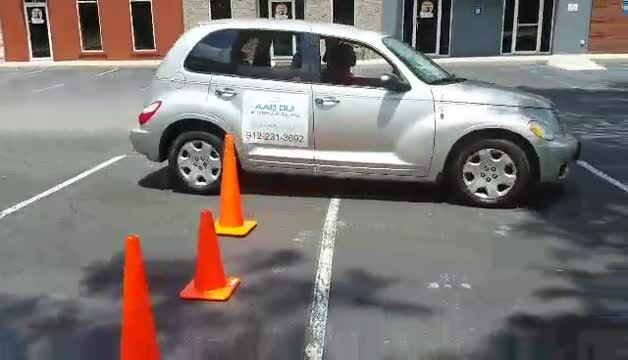 We allow the use of the company car for students to take the Road Skills test. The cost is $75.00 which includes the use of the car and labor costs for instructor wait time.